This Sunday — oh, I’m so happy! — Masterpiece Theatre will be broadcasting the first episode of Emma, the latest adaptation of Jane Austen’s fabulously fabulous book. It starts Romola Garai (who was so good in Daniel Deronda) as the title character, and judging from the previews, it looks delightful. I suspect it will be a keeper. So I will get my husband to set the VCR, because after ten years with this machine I still don’t know how to do it myself (I know that the world at large has moved on to better things like Tivo, but we are afraid to get it because we fear our TV watching will increase exponentially. Okay, I’m afraid that our TV watching will increase exponentially.) And you know, I think our trusty little VCR gets really happy when he/she gets to record a Jane Austen adaptation. Okay maybe I’m projecting a bit. But there is something about Jane that never gets old. Maybe we are just all starved for courtship, romance, politeness, civility, and men in waistcoats. 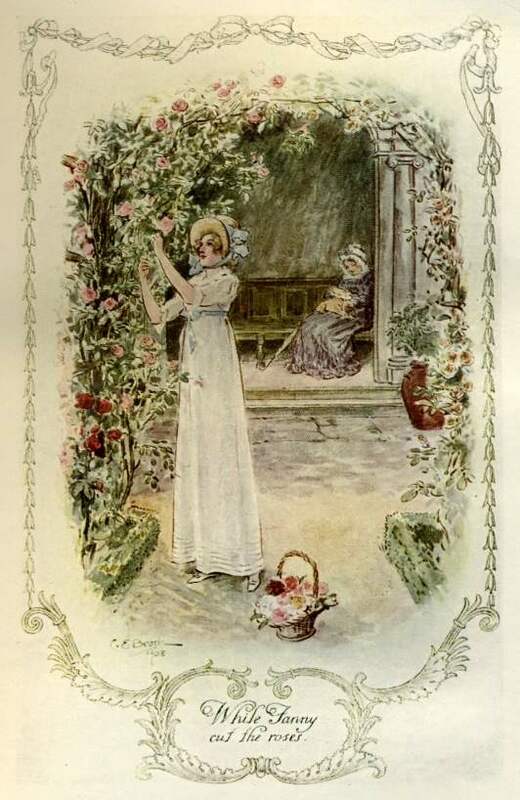 Illustration of Emma by C.E. Brock. Courtesy of Solitary Elegance. Last Saturday, the boys spent the afternoon and evening at my parents’ house. Scott and I went back home for a few relaxing hours before heading out to a tapas bar. It was strange sensation to be back at home without hearing four little feet running over hardwood floors. Scott celebrated the silence by taking a nap; I pulled out some mending, savoring the fact that I could leave a pincushion of needles on the coffee table and not worry about a toddler impaling himself. It felt odd and quiet and, to be honest, very nice. 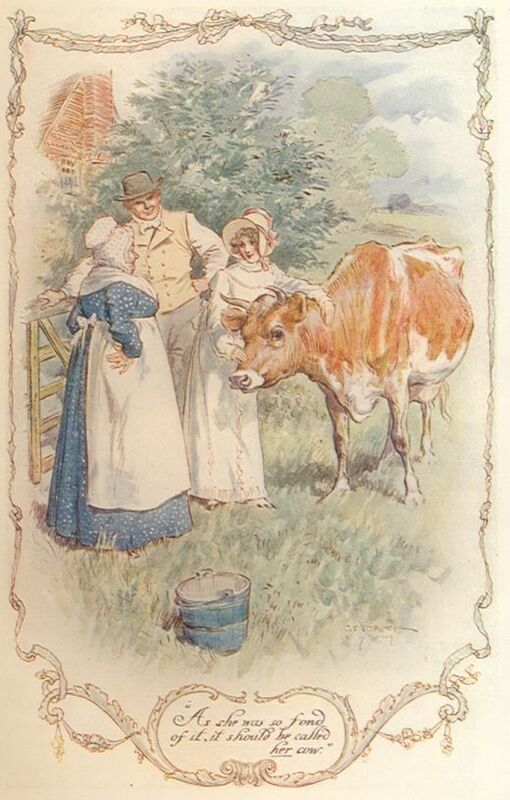 Illustrations by C. E. Brock for Emma and Mansfield Park, respectively. Visit www.mollands.net to see these, and many many more. But I warn you: a visit there won’t do your laundry baskets any favors, either. 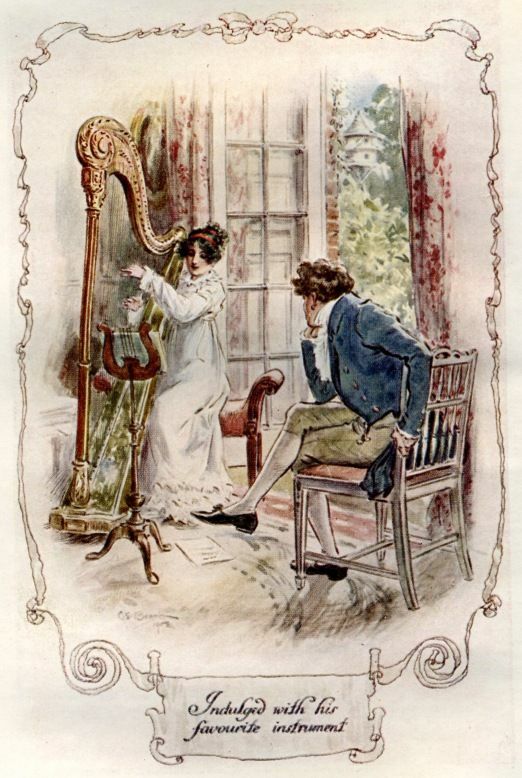 Illustration by C. E. Brock for Mansfield Park. Image courtesy of the good rabid Janeites over at Molland’s. Check them out sometime. Does this make my husband Mr. Darcy? 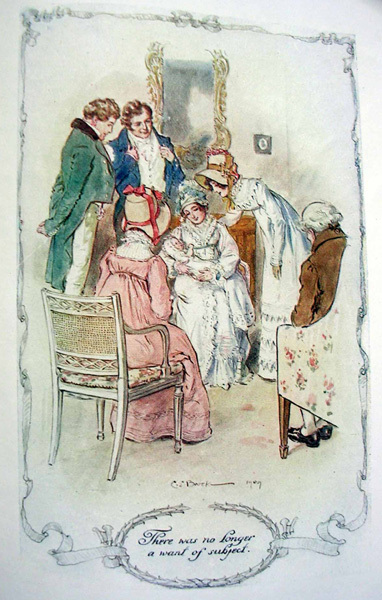 Posted on June 16, 2009 by ginny | Comments Off on Does this make my husband Mr. Darcy? So you know what I did yesterday, while the boys napped? I discovered that I am Elizabeth Bennet. I’ d always suspected that I was, but now I know for sure. Right on. At any rate, this online quiz is waaaaaay more fun than doing laundry. (Hat tip to Marina for bringing this quiz to my oh-so-grateful attention). Comments Off on Does this make my husband Mr. Darcy?